Our QuickBooks Online customers are saving a lot of time in bookkeeping, and are enjoying all the cool features of the software. Not only are they enjoying the program, but they also have handy useful financial reports to make sound decisions when needed. 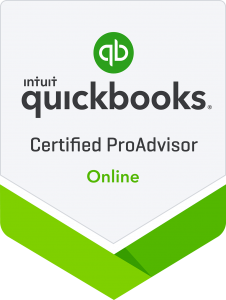 For small businesses implementing QuickBooks for the first time, you are in the right place. Our team will teach you the wonders of QuickBooks. For businesses currently using QuickBooks Online or Desktop, but are not utilizing the system to its full potential, our team will evaluate your business operations and will advise you on different features and applications that can assist with optimizing the system to create efficiencies. 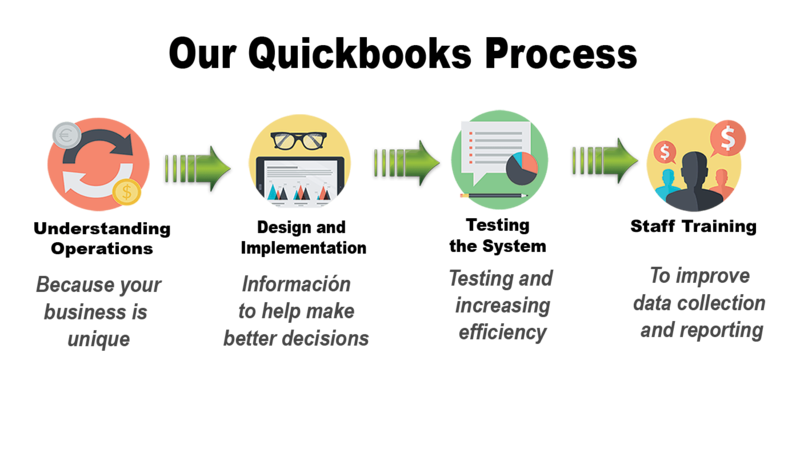 Which System Does your Company Need? If you are at the beginning of the journey or have been using QuickBooks and you don’t know what system will best fit your company, we are here to help. You are not alone in this journey, we have the expertise to know which version of QuickBooks will best fit your business or our team will advise on changing from one version to another.